Darrell Beaulieu, CEO of DEMCo, says the time is right for First Nations to take an active role in resource development. The mining industry is struggling. Junior exploration companies are desperately trying to raise money, and majors are facing volatile commodity prices paired with resistance from communities. It’s bad news. This aligns with John Ralston Saul’s assertion that the Canadian aboriginal population is in the midst of a comeback. Corporate Knights’ Jeremy Runnalls spoke last month with Saul who noted that a new indigenous elite is emerging from a bigger-than-ever cohort of university and college graduates. This group is hungry for change and optimistic about the future, he said. Another indicator of the comeback was the Idle No More movement, which sprang up just over two years ago after a group of women in Saskatchewan challenged federal legislation that would have leased First Nations property to make room for the Northern Gateway pipeline. “It was a moment were this underground aboriginal comeback broke surface for a brief time, and it is going to continue apace, whether we support it or not,” Saul told Corporate Knights. Denendeh Investments Limited Partnership (DILP) is wholly owned and governed by residents of the five Dene regions in the NWT. Aside from managing its investment portfolio, DILP also owns an exploration and mining company called DEMCO, which is involved in everything from mining silver, to acquiring diamond claims, to staking property that is well known for its gold values. Mineral exploration and extraction in the NWT is not new. 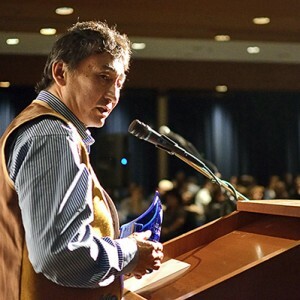 First Nations have always used the natural resources on their lands, and large-scale development has been taking place in the NWT since the gold rush of 1898. Since then, First Nations have worked in the mining industry on an as-needed basis, which has largely depended on the mining cycle. DEMCo wants to change that cycle by creating long-term value for First Nations through equity-building in northern resource development, growing local businesses and creating employment and training opportunities. Behind all of this work is Darrell Beaulieu, chief executive officer of DEMCo since 2005. We asked him to elaborate on his vision of “the comeback” and DEMCo’s role in making it happen. 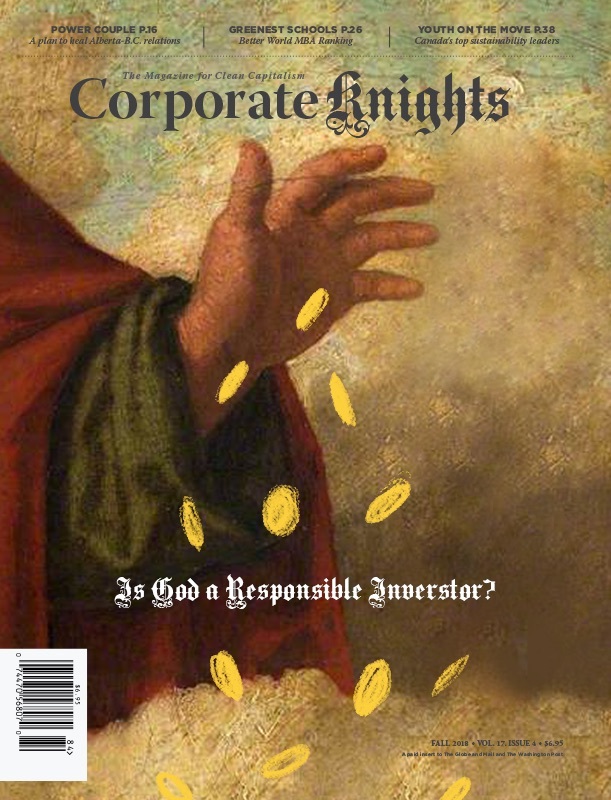 What follows is an edited version of Corporate Knights’ conversation with Beaulieu. CK: In his interview with Corporate Knights, John Ralston Saul said First Nations have been presented with the option to either accept jobs under someone else’s conditions or be viewed as an irrelevant nuisance on the sidelines of the decision-making process. What role does DEMCo play in changing the status quo? BEAULIEU: When you look at the resource sector and you ask the question to mainstream Canadians, “Can you imagine an aboriginal-owned mining company or exploration company?” most of the time, it has never even entered their minds. People assume we have to get approval, we have to consult with others. They don’t think that we could be the initiator of projects, such as owning and operating a mine. But aboriginal people right across the country have always utilized natural resources. CK: Saul also talked about the Idle No More movement as a moment when the First Nations “comeback” broke the surface for a short time. Is there any connection between the Idle No More moment and what you’re doing in your company? BEAULIEU: I was just as surprised when the Idle No More initiative popped up. From our perspective, the objectives are all the same. We just seem to be doing it in a different way. CK: Do other First Nations people or groups question what you’re doing? BEAULIEU: There’s always a little bit of ying and a little bit of yang. I don’t see them as tensions. It’s more so, “What are you doing? We don’t do this type of thing.” Or “where are you getting the money?” On the other hand, there is a lot of encouragement and support from First Nations, as well as the NWT government, the federal government and industry players. CK: How do you manage your social licence as a First Nations-owned business? BEAULIEU: We’re still seen as a business, so communities still want to sit down and talk about their participation. Before we do anything, we sit down with the community and go through everything that we’re doing. That’s what they want. They want that engagement, that conversation and being able to participate. Right now, they’re participating indirectly with us. But we give them the opportunity to participate directly through equity. And if the community has businesses that can provide services and supplies, then we will definitely use them. CK: Do you think your company has an advantage when it comes to working with communities that other companies don’t have? BEAULIEU: I think community engagement is our competitive edge. And that edge is available because we are a Northern Dene-owned company. And we’re operating in a territory where aboriginal people have a significant influence on our activity. The industry, from my experience, has always had some challenges due to regulatory uncertainty. I think Dene participation will help develop a responsible legislative and regulatory framework. First Nations don’t want to start big initiatives just to make money and then ruin the land and the environment and the water. It’s a balanced approach that has got to ensure that the positive and negative impacts of mining and exploration are well understood. CK: It seems to me that other mining companies would be knocking at your door because you have this advantage of being able to work with communities. It’s almost like a home-court advantage. So there’s an assessment stage that is probably happening. Partnerships with existing mining companies are definitely something we’re looking at to increase our knowledge and expertise, as well as actual exploration, mining and financing. Like any other junior mining company, once you’ve got your property and you look at financing, you’ve got no other option but to dilute yourself. CK: That was going to be my next question. Once you dilute yourself, how do you make sure that your mission doesn’t get lost as you grow? BEAULIEU: That’s a really good question. I think that’s part of developing the principles and vision of the company. And I think that’s part of the assignment. As long as there are benefits for the investor, it’s a partnership. It’s no different than if a mining company developed a partnership with any another exploration company. CK: Do you see any way forward for the mining industry without making some changes to their business model? BEAULIEU: It just seems like it’s going to get more and more challenging for the resource industry. Over the last few decades, First Nations haven’t been so vociferous, but now you’re seeing a group that’s getting educated and understanding the jurisdictions and the laws. At the same time, they are understanding the demands and requirements of being full participants in the Canadian economy.